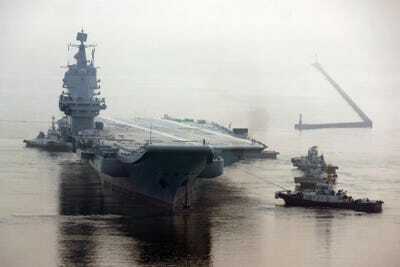 China only has one aircraft carrier – the Type 001 Liaoning – in service. But that carrier, known as the sister ship of Russia’s Admiral Kuznetsov aircraft carrier, recognised as one of the worst carrier’s in the world, is “not very impressive,” said Matthew Funaiole, a fellow with the China Power Project at the Center for Strategic and International Studies. China declared the carrier combat ready in November 2016,according to a CSIS China Power Project report. While the ship has participated in and led live-fire exercises, it primarily serves as a training vessel. “They have such serious deficiencies with their engines, and this is a historic problem for China, not just for their ships but for their aeroplanes as well,” Funaiole said, adding that it was the one thing preventing the Chengdu J-20 stealth fighter jet from becoming a true fifth-generation aircraft. The diesel-fuelled steam turbine power plants are less efficient and reduce the speed and service life of the carrier, according to Geopolitical Futures. The Liaoning is believed to have a top speed of roughly 20 knots. “The J-15 is not the most efficient carrier platform. It’s probably the heaviest aeroplane that takes off on a carrier right now,” Funaiole said. He also noted that its weight, coupled with the launch systems on the Liaoning and Type 001A, force the Chinese Navy to sacrifice capability just to get the fighters in the air. China is reportedly considering replacing the fourth-generation J-15, which has a maximum take-off weight of more than 70,000 pounds, with a lighter, more durable aircraft. Uncorroborated rumours suggest that China might be looking at the FC-31 stealth fighter, a relatively new military aircraft that is comparable to but noticeably less capable than the American F-35 Lightning II Joint Strike Fighter. 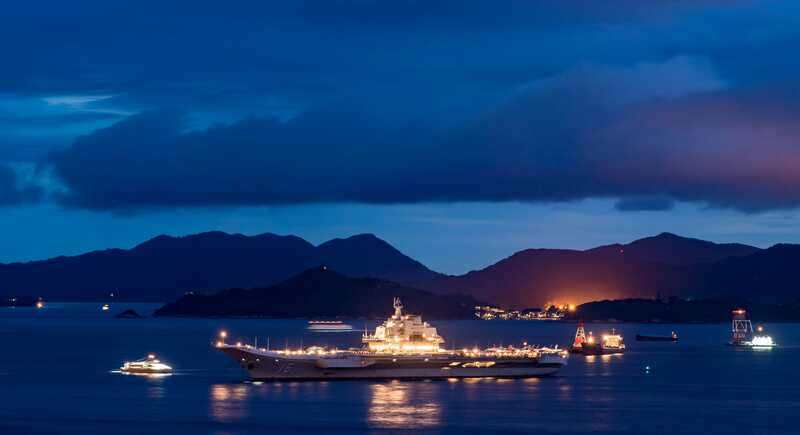 China’s first carrier has since participated in other naval exercises, including additional live-fire drills in the East China Sea and Western Pacific. 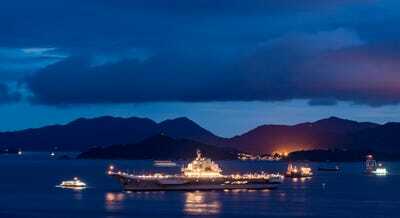 In March, the Liaoning led a major show of force manoeuvre in the South China Sea involving dozens of Chinese People’s Liberation Army Navy ships. As of last year, there were several reports and rumours that China was researching and developing an electromagnetic aircraft launch system (EMALS), a system the US has designed for its Ford-class carrier.